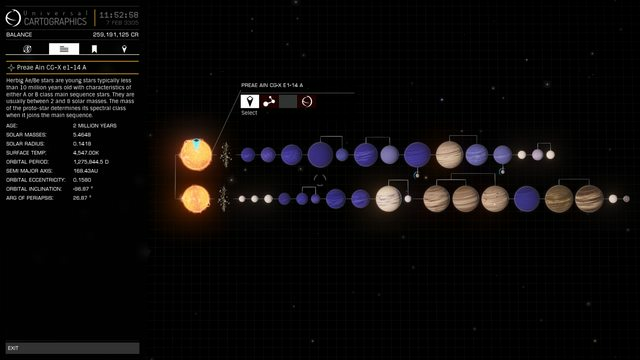 This system was visited for the first time on EDSM by Leesti. 2 ships passed through Preae Ain CG-X e1-14 space, including 0 ship in the last 7 days. 0 ship passed through Preae Ain CG-X e1-14 space in the last 24 hours. A twin Herbig Ae/Be system that contains a record 23 Helium rich giants. As of 09/02/2019 this is the single largest known collection of helium giants.